The hyperspectral sensor AISA flew over Puerto Rico during December 2007. This first-time ever mission, coordinated by the UPRM CenSSIS project (a NSF project), involved multiple research groups that sampled on sea and land. 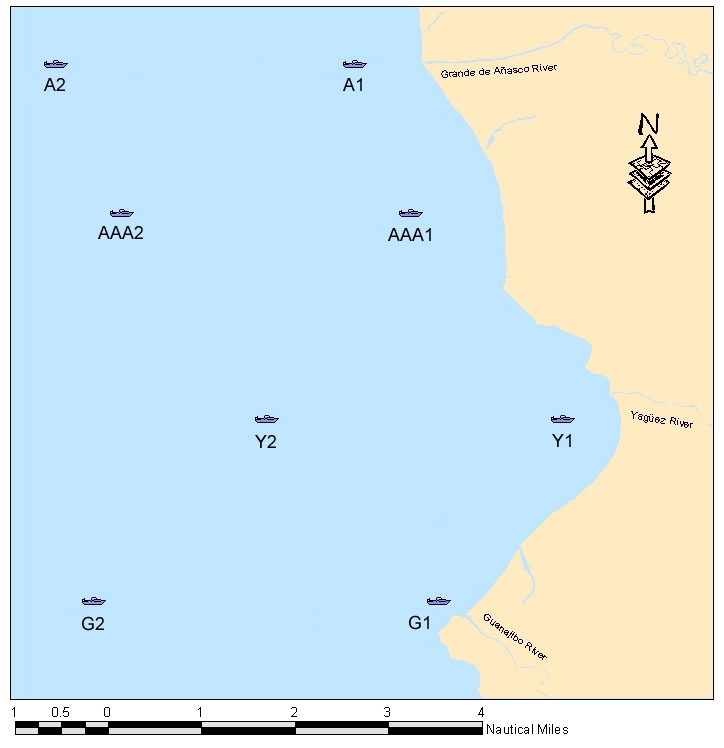 GERS Lab collaborated with the Bio-optical Oceanography Lab to measured the bio-optical properties on different sites over La Parguera Reefs and Bioluminescence Bay during December 6, 2007. Twelve (12) stations were sampled with the bio-optical rosette and the GER-1500 spectroradiometer. The sampled sites provided different bio-optical conditions in the water column and different benthic communities. Several stations were also sampled with the Satlantic hyperspectral radiometer. This first-time comprehensive study of the bio-optical properties of La Parguera Reef System will establish the basics for further improvement of the remote sensing techniques for monitoring of benthic habitats. All data collected during the AISA mission and other monthly samplings will be incorporated into a Geographic Information System (GIS) using ArcGIS. These layers of information will be published in the internet using the recently created database system called GERSVIEW. 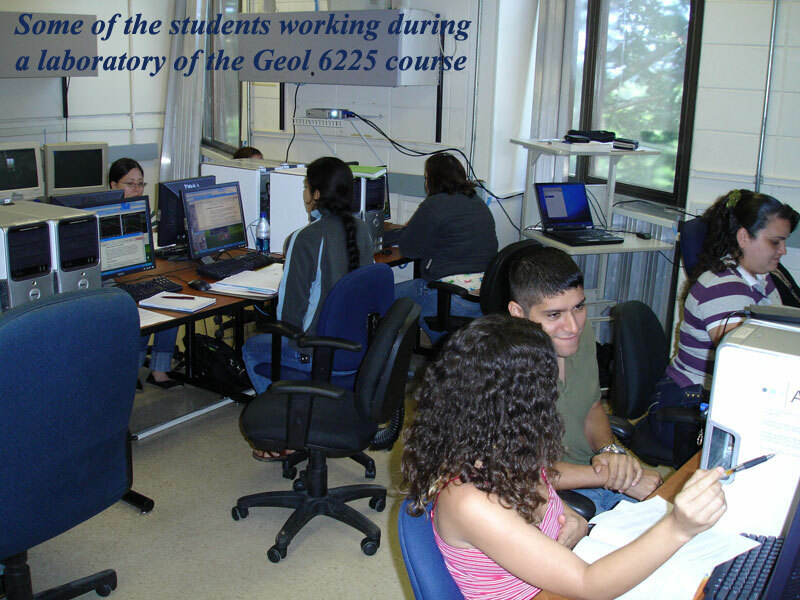 Thirteen (13) graduate students from several Departments of UPRM successfully finished the course Geol 6225 (Advanced Geological Remote Sensing) during fall of 2007. This is the highest number of students that have taken this course since it was created, and it is also considered a large number for any graduate course at UPRM. The course was taken by 9 females and 4 males from Geology, Civil Engineering, and Electrical and Computing Engineering Departments. Such event coincided with the change of the textbook used in the course. The students used for the first time the textbook entitled "Remote Sensing of the Environment" by John R. Jensen, edition of 2007; which has been fully updated and covers all the topics of the course. The success of this course is based on its applicability to diverse fields and how it is focused on learning the most advanced image processing techniques and tools. William Hernandez presented the new GERS Lab Database, called GERSVIEW, during the fifth conference of ESRI Users in Puerto Rico. 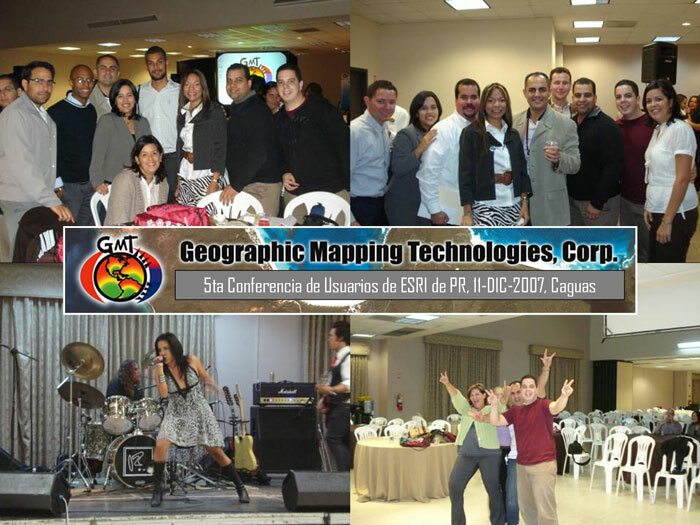 This activity took place in Caguas during December 11 of 2007 and it was organized by Geographic Mapping Technologies Corp (GMT). William's presentation along with those given by the Caguas Municipality and the Regulations and Permits Administration of Puerto Rico (Administración de Reglamentos y Permisos-ARPE) were the only ones out of the scope of the GMT work. Fernando Gilbes presented the work entitled “Developing a protocol to use remote sensing as a cost effective tool to monitor contamination of mangrove wetlands” during the Annual Symposium of the Department of Natural and Environmental Resources (DNER) in October 25, 2007. This project is sponsored by the Sea Grant Program and other authors of the presented work were Johannes H. Schellekens, Augustine Rodriguez-Roman, and Belyneth Deliz. During October 19 of 2007 our laboratory participated in the Open House celebrated in the Department of Geology as part of the Earth Week. As in previous years, this activity was organized by the Puerto Rico Seismic Network and it was attended by many high school students and people from our own campus. During September 28 of 2007 the Center for Hemispherical Cooperation (CoHemis) carried out the fifth national meeting of remote sensing and geographic information systems (PRYSIG 2007). As in previous years, the GERS Lab collaborated with this activity and organized a workshop about hyperspectral image classification using ENVI. It was offered by Fernando Gilbes and around 20 people participated of it. Also this year the new on-line database of the GERS Lab called GERSVIEW was presented for the first time to the community. This presentation was given by its main creator William Hernandez, a Ph.D. student from the Marine Sciences Department and strong collaborator of our lab. In order to apply remote sensing to coral reef studies it is necessary to understand the bio-optical variability of the water column. This is the main objective of the most recent work by the GERS Lab in collaboration with Dr. Roy Armstrong, Director of the Bio-Optical Oceanography Laboratory (BIOL) of the UPRM-Department of Marine Sciences. GERS Lab puts the Bio-Optical Rosette and the BIOL puts the re-designed boat Boriken. Coral reefs of La Parguera will be sampled monthly, starting during summer 2007, as part of our NSF-CenSSIS project. This will help us to develop the appropriate techniques for coral mapping using remote sensing. Dr. Fernando Gilbes Santaella was invited to chair a technical session about the application of remote sensing in marine ecosystems studies during the 32nd International Symposium on Remote Sensing of the Environment. This symposium took place in San José, Costa Rica, on June 25-29 of 2007 and over 500 people from around the World attended it. The marine technical session chaired by Dr. Gilbes was focused on coral reefs and algal bloom monitoring. Five oral talks were presented and three of those were related with research work made in the University of Puerto Rico at Mayaguez (UPRM). The first talk was given by Damaris Torres Pullitza, a former graduate student of the UPRM-Department of Geology. Another lecturer in this session was Dr. Liane Guild from NASA Ames Research Center and she presented the collaborative work between NASA and UPRM involved field activities for sensor validation that were made in Puerto Rico by Dr. Guild, Dr. Roy Armstrong from the UPRM-Department of Marine Sciences, and Dr. Gilbes. The last presentation of the session was offered by Dr. Miguel Vélez Reyes, a professor in the UPRM-Department of Electrical and Computing Engineering. His talk covered part of Dr. Vélez’s work in the Center for Subsurface Sensing and Imaging Systems (CenSSIS). All these presentations reflect the large active research taking place at UPRM in environmental remote sensing. 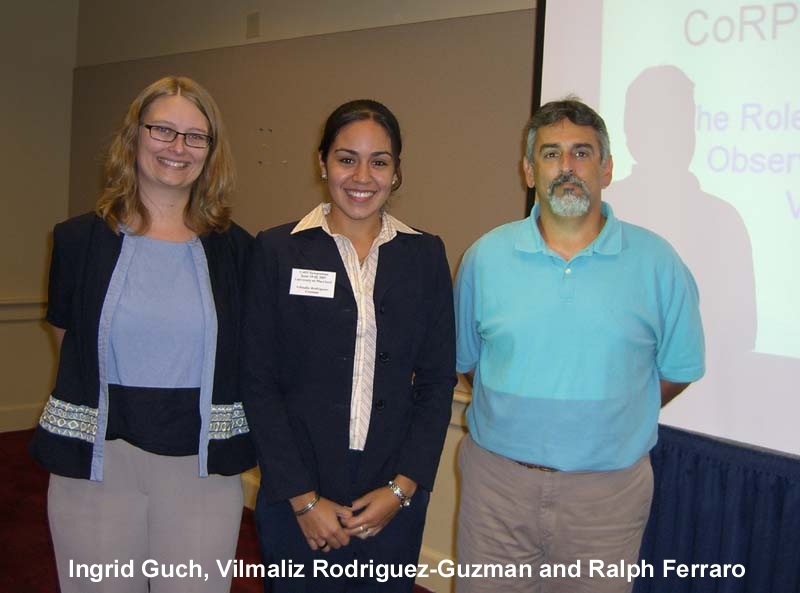 The NOAA-CREST program invited Vilmaliz Rodriguez to present a poster in the 4th annual NOAA/NESDIS/StAR/CoRP Symposium, which took place during June 19 & 20 of 2007 at the University of Maryland, College Park, Maryland. Her poster summarized results of spatial and temporal analyses of the bio-optical data collected in Mayagüez Bay. It also included her proposed study of the watershed that will help to better understand land-sea interactions of sediments transport. Vilmaliz's work was very well accepted and her poster won the second place of the symposium. Multiple studies have been performed in La Parguera Bioluminescence Bay, but none of them have measured the in situ bio-optical properties until now. As part of Deborah Cedeño Ph.D. dissertation project (a graduate student of the UPRM-Department of Marine Sciences), we used the GERS Lab Bio-Optical Package to measure these properties in the field during May 16 and 18 of 2007. The standard deployment of the package is by profiling mode, but it was changed because the phytoplankton species studied by Debbie are only concentrated closed to the surface. The package was attached to a peristaltic pump that allowed to bring surface water to the CTD, fluorometer, and AC-9, in a continuous flow mode. At the same time, Debbie was collecting her standard samples for laboratory analyses in order to develop comparisons with the package measurements. Yadira Soto and Jose Martinez carried out their undergraduate research in GERS Lab related topics. 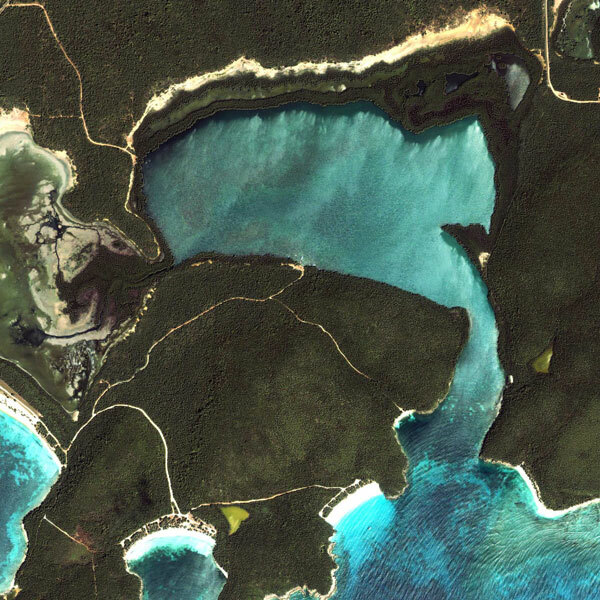 Yadira in her second research project continued working with the bioluminescence bays of La Parguera and Vieques and produced a Land Use and Land Cover map using a supervised classification of IKONOS images. Yadira's work is related with our project sponsored by Sea Grant. Jose worked in his first research project and was focused in testing MODIS for Mayaguez Bay. He choose a new algorithm developed by Miller and McKee (2004) and the 250 m bands from MODIS to estimate the concentration of Suspended Sediments in the bay. Jose's work is related with our NOAA CREST project. Both Yadira and Jose presented their undergraduate research projects to the faculty of the Geology Department during May 14 and 15 of 2007, respectively. More than 30 scientists from diverse disciplines, including GERS Lab Director and Oceanographer Fernando Gilbes, met during May 8-10 of 2007 in a San Juan's Hotel to participate in the workshop called "Facing the Consequences of Climate Change in Puerto Rico". This activity was sponsored by the UPRM Chancellor Office and organized by several UPRM organizations, including Marine Science, CoHemis and Sea Grant. The discussions were intense and many issues were presented. During the last day a conference press took place to present the most important findings and 10 recommendations. A final report will be prepared and presented to the government. The dynamics of cyanobacteria and their role on the optical properties of Mayaguez Bay was the focus of the research performed by Yvette Ludeña Hinojosa, a Peruvian graduate student from the Biology Department and working with Dr. Fernando Gilbes Santaella. Yvette participated in several cruises to the Bay sponsored by NOAA CREST, where she collected samples to better understand these important organisms by using both traditional laboratory procedures and state-of-the-art genetic techniques. Her work is an important legacy to the research of Mayaguez Bay and we expect to publish it in a upcoming book of the bay. She successfully defended her thesis during May 8 of 2007. As part of the NOAA CREST project a different sampling design was performed in Mayaguez Bay to better understand the spatial variability of bio-optical properties. 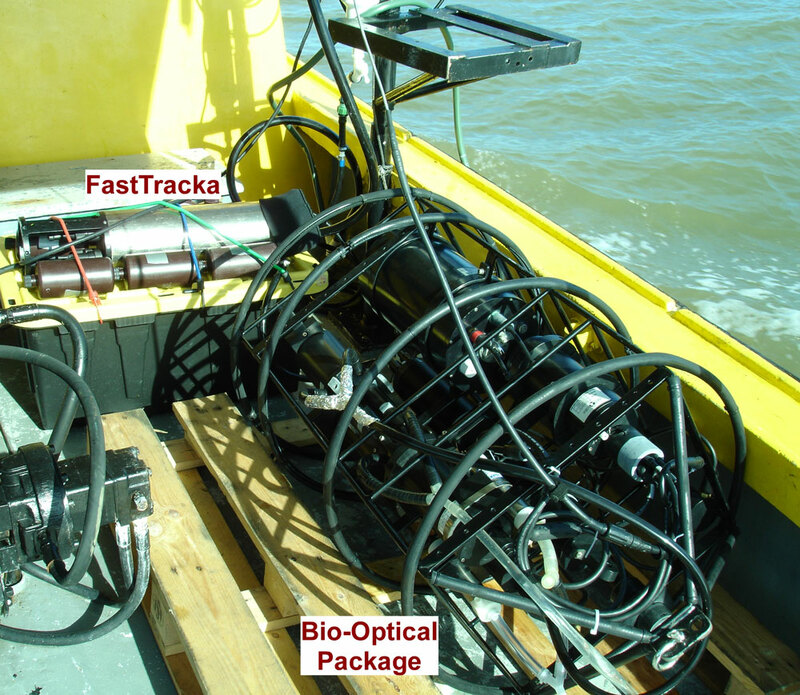 On May 2 of 2007, the bio-optical package was lying down on deck and connected to the water intake of the R/V Sultana. Seawater from the surface flowed continuously through the different instruments while the boat travel along the Bay from the Añasco to the Guanajibo rivers, and covering from inshore to offshore waters. The graduate students Patrick Reyes, Vilmaliz Rodriguez (both sponsored by NOAA CREST), and Ramon Lopez from Marine Sciences, participated during this cruise that was sponsored by Sea Grant. Patrick collected water for suspended sediments and CDOM measurements, Vilmaliz will be processing the data from the bio-optical package, and Ramon collected data with the FastTracka. This work will provided for the first time a more comprehensive analysis of the spatial variability of the measured parameters, which will help to develop new models and algorithms for coastal waters. As in previous years, an undergraduate student from the GERS Lab presented at the Sigma Xi poster day. The activity took place during April 26, 2007 at UPRM-Chemistry Building and this year's poster was prepared by Yadira Soto. She presented the work performed during last semester for her undergraduate research topic and the poster was titled "Heavy Metals Contamination in Two Bioluminescent Bays of Puerto Rico". This work was sponsored by the University of Puerto Rico Sea Grant College Program. The Bernard M. Gordon Center for Subsurface Sensing and Imaging Systems (CenSSIS) held its two-day,Year Seven National Science Foundation Site Visit on April 19-20, 2007 in Boston, MA. During this activity our graduate student Carmen Zayas-Santiago, from the Department of Marine Sciences, presented the poster titled "Spectral Libraries of Submerged Biotopes for Benthic Mapping in Southwestern Puerto Rico". Other authors of this work were professors Fernando Gilbes and Roy Armstrong. The presented research is part of the CenSSIS project conducted by the GERS Lab. The Meteorological Society of Puerto Rico (MSPR), which is a Local Chapter of the American Meteorological Society (AMS) promotes weather education and shares knowledge of atmospheric and related sciences to the general community in Puerto Rico. As part of these efforts they celebrated the Weather Festival at the Rafael A. Mangual Coliseum of the University of Puerto Rico at Mayaguez during March 23, 2007. This day was appointed as the World Meteorology Day and many other activities took place around the globe. The GERS Lab participated in this Festival, where Vilmaliz Rodriguez and Patrick Reyes explained the basic concepts of Remote Sensing, talked about our work, and showed satellite images of our planet. Multiple students from elementary to high schools attended the activity. Fernando Gilbes was the invited speaker during this year Undergraduate Research Symposium in the University of Puerto Rico at Aguadilla. As researcher from the Geology Department and CoHemis Director he offered the lecture titled "Globalizacion en la Investigacion y Educacion Subgraduada: CoHemis como ejemplo del impacto de este proceso en UPRM". The lecture given on March 1, 2006 presented a new perspective of global ways to perform research and education. 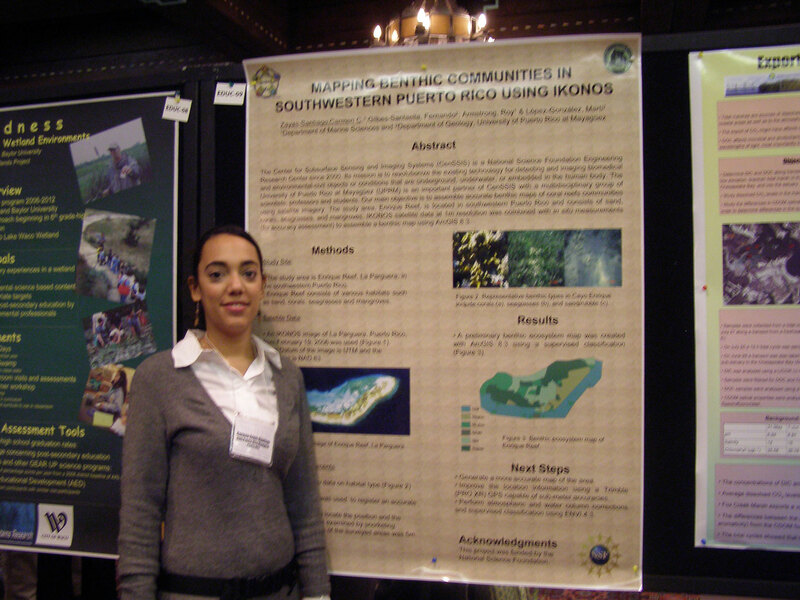 During February 4-9 of 2007 Carmen Zayas, a graduate student from Marine Sciences and sponsored by CenSSIS, attended the ASLO 2007 Aquatic Sciences Meeting to present the poster entitled “Mapping Benthic Communities In Southwestern Puerto Rico Using IKONOS”. Other authors of this CenSSIS work were Fernando Gilbes, Roy Armstrong, and Marti Lopez. This meeting took place in Santa Fe, New Mexico. Belyneth Deliz, Almaris Martinez, and Augustine Roman (all undergraduate students) carried out leave reflectance measurements in the field as part of our Sea Grant project. They also collected leave and sediment samples for metal analyses in the Atomic Absorption Spectrometer (AAS) laboratory of Dr. Arturo Massol, in the Biology Department at UPRM. 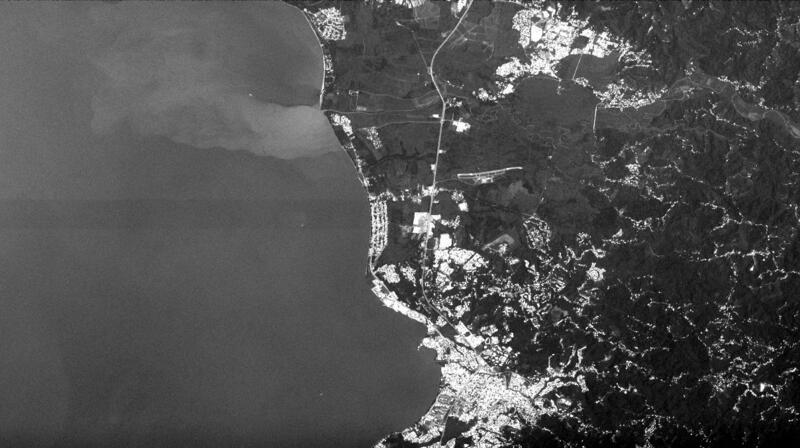 Mercury (Hg), Lead (Pb), Iron (Fe), Copper (Cu), and Arsenic (As) were measured in Puerto Mosquito (Vieques) and La Parguera (Lajas) bays. These are the two most well-known bioluminescence bays of Puerto Rico. The samplings were carried out by Yadira Soto and William Hernandez as part of the research activities in a project sponsored by Sea Grant. This was also the undergraduate research project of Yadira, whom presented it at the end of the semester to the faculty of the Geology Department as part of her requirements in that curse. The Puerto Rico-Louis Stokes Alliance for Minority Participation (PR-LSAMP) program invited Fernando Gilbes to give a workshop about the scientific method. 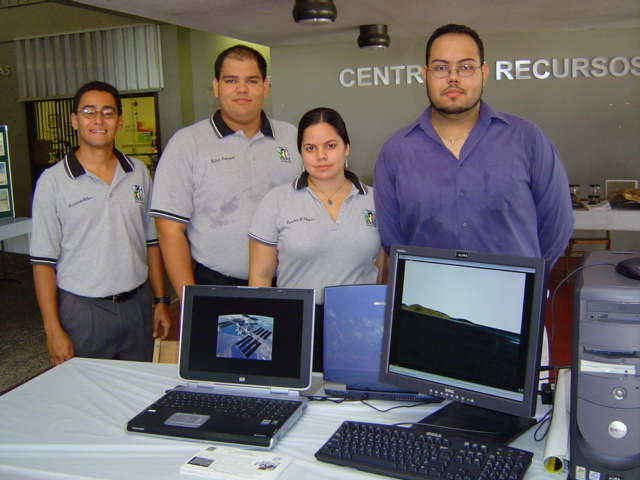 It took place in the Auditorium of Civil Engineering during October 24 of 2006 and several UPRM students from science and engineering attended. During October 9-13 of 2006 Fernando Gilbes attended the Ocean Optics XVIII Conference to present the poster entitled “CenSSIS SeaBed: Diverse approaches for imaging shallow and deep coral reefs”. Other authors of this CenSSIS work were Roy Armstrong, James Goodman, Miguel Velez, and Shawn Hunt. The conference took place in Montreal. Johannes H. Schellekens presented the work entitled “Developing a protocol to use remote sensing as a cost effective tool to monitor contamination of mangrove wetlands” during the Second Annual Symposium for Coastal and Marine Applied Research organized by the UPRM Sea Grant College in October 5, 2005. This new project is sponsored by Sea Grant and other authors of the presented work were Fernando Gilbes-Santaella, Augustine Rodriguez-Roman, and Yomayra Roman-Colon. 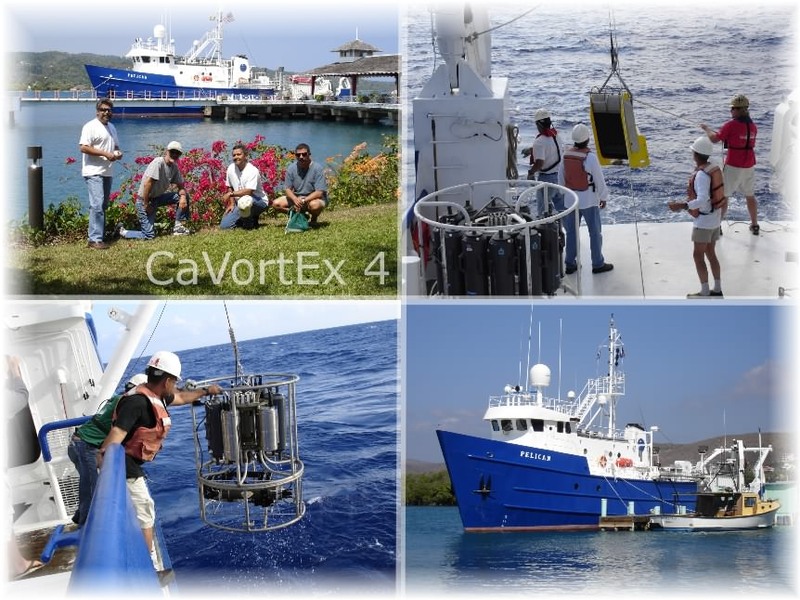 The sixth cruise, denominated CaVortEx-6, of our ONR project took place from August 26 to September 9 of 2006 in waters between Puerto Rico and Venezuela. Nine students and five professors, including Fernando Gilbes, conducted multiple measurements and experiments in order to better understand the role of Caribbean eddies. These eddies affect the salinity and temperature of the water column and induce changes in the phytoplankton production. 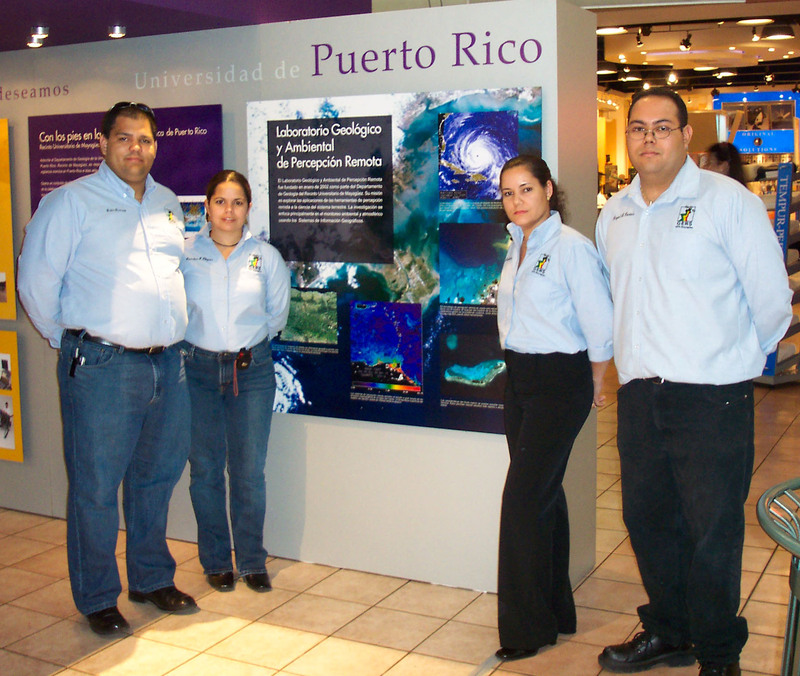 In the week of August 21, 2006, a panel review of NOAA came to Puerto Rico to evaluate the UPR Sea Grant Program. As part of the activities a poster section was organized in the Mayaguez Resort that took place on August 22nd. Our Sea Grant supported research was present in a poster entitled “The relationship between land use and sedimentation processes in two bioluminescent bays of Puerto Rico”. This poster clearly summarizes all the findings of our project and discusses the practical applications. 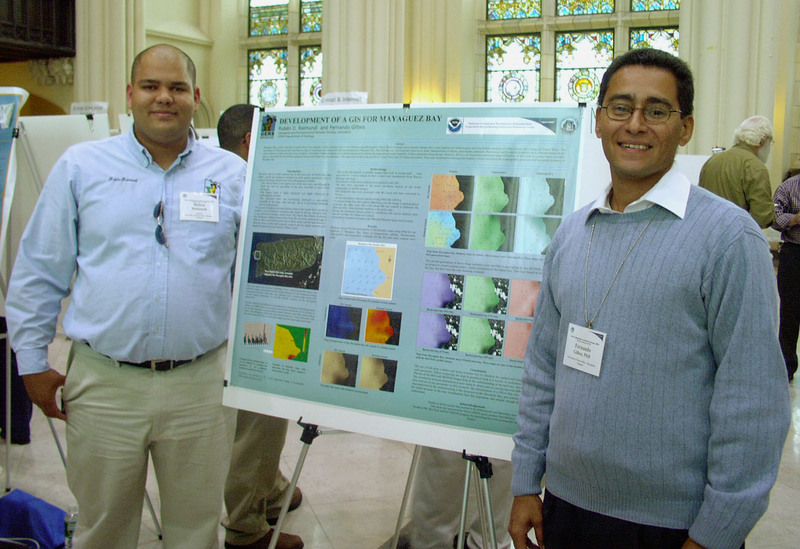 During August 14-16, 2006, the NOAA Conference took place in Virginia where several NOAA CREST researchers attended, including the graduate student Patrick Reyes. This conference was another opportunity to show our efforts in understanding the bio-optical variability of Mayaguez Bay. Patrick presented the poster entitled “Dynamics of Chromophoric Dissolved Organic Matter (CDOM) in Tropical Marine Environment”. This work is part of his dissertation research. During this past summer of 2006 the graduate student, Vilmaliz Rodriguez, participated in an internship work at the Eastern Geographic Science Center of the US Geological Survey, located at Reston, VA. She had the opportunity to work with GIS aspects of three different projects and to present her work at the end of the summer. Other experiences included joined field trips, visited historic places, and met scientists that are working on topics related to her research interests. As part of the Arecibo Geoscience Diversity Project, sponsored by the NSF, a group of high school students, teachers and college undergraduates participated in a research experience conducted at the Arecibo Observatory and UPR-Arecibo. Their third Geoscience Congress was held on April 29 of 2006 and Fernando Gilbes offered the lecture entitled "Puerto Rico Desde El Espacio". The other keynote speaker was Carl Soderberg, Director of EPA in the Caribbean Region (in the picture with students). 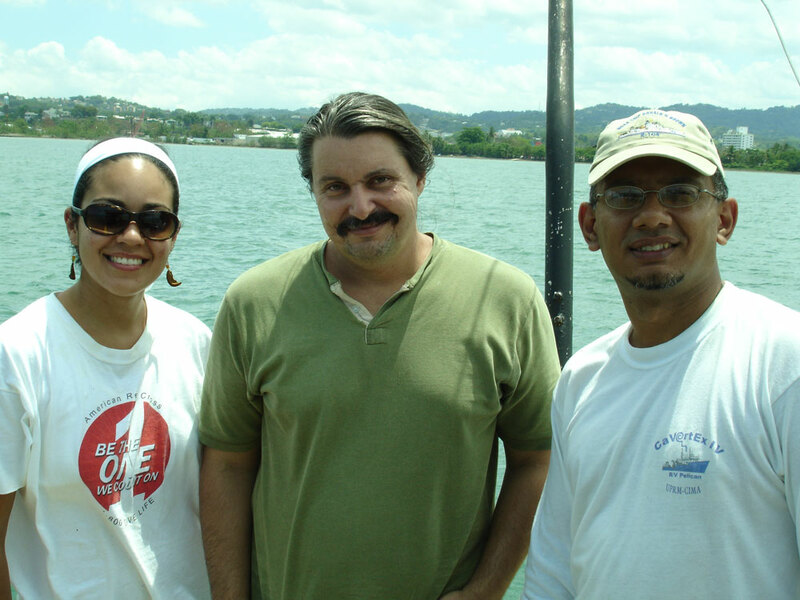 During April 21 of 2006 we carried out the second sampling of the dry season in the Mayaguez Bay. The same 8 stations visited in March 2006 were sampled and similar field activities took place. NOAA-CREST supported student, Patrick Reyes, collected more data for his doctoral dissertation. Also, the doctoral student from the Department of Marine Sciences, Ramon Lopez, performed new experiments using optical instruments to measure photosynthetic parameters. A large coral bleaching event has been documented around the world, including in the Caribbean Sea. On April 20 of 2006, Fernando Gilbes and Roy Armstrong visited Los Pinaculos coral reef in La Parguera to collect underwater reflectance measurements of the corals at different stages of bleaching using the GER-1500. This effort, which is part of the CenSSIS project, aims to better understand the optical signals for future application of remote sensors in continuous monitoring of coral reefs. Pictures were taken by Jorge Sabater. Every month the graduate students of the Climate project funded by NASA-EPSCoR get together and discuss their research activities. As part of this initiative they also invite active researchers to offer seminars. 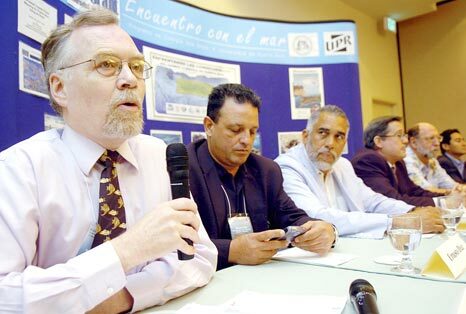 In April 19, 2006, Fernando Gilbes was invited to this meeting and talked about his research in Mayaguez Bay. This provided the opportunity to the students to learn about application and validation of remote sensing in coastal waters. Eidalia Gonzalez presented their undergraduate research on April 6 of 2006 during this year Sigma-Xi poster presentations. Other students from the Department of Geology also presented their projects. This was an excellent opportunity to expose their work to the UPRM community. As part of the Sea Grant project the co-investigators, Fernando Gilbes and Roy Armstrong, traveled to Vieques during March 17-19 of 2006 to meet Oscar Diaz, field supervisor of the US Fish and Wildlife Service. The purpose of this meeting was to discuss a possible collaboration with that federal agency in our Mosquito Bay project. The meeting also allowed us to talk about a future project to study the Coral Reefs in Vieques using optical equipment and image processing. 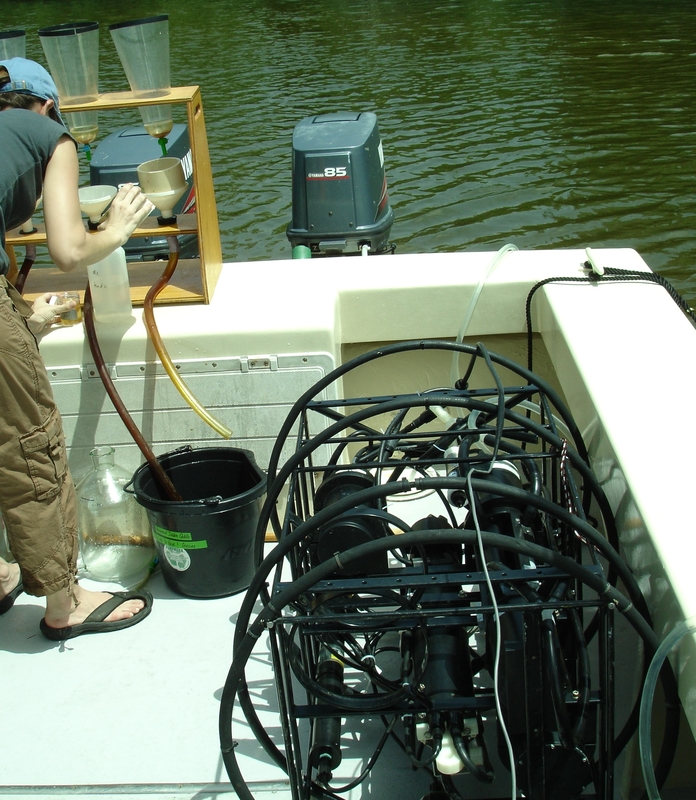 During March 8 of 2006 we carried out the first sampling of the dry season as part of the NOAA-CREST project. 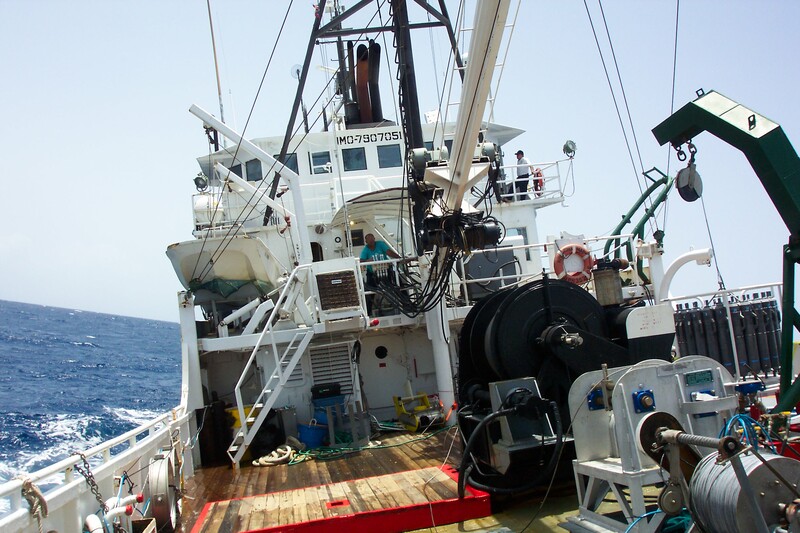 During this cruise ten stations were sampled and over 15 bio-optical parameters were measured. Several graduate students collected data for their thesis including: Patrick Reyes (currently supported by NOAA-CREST) and Ramon Lopez from Marine Sciences, and Claudia Tapia from Biology. In this trip the new GERS Lab graduate student, Vilmaliz Rodriguez from Geology, had the opportunity to learn more about this project. She is currently supported by NOAA-CREST. 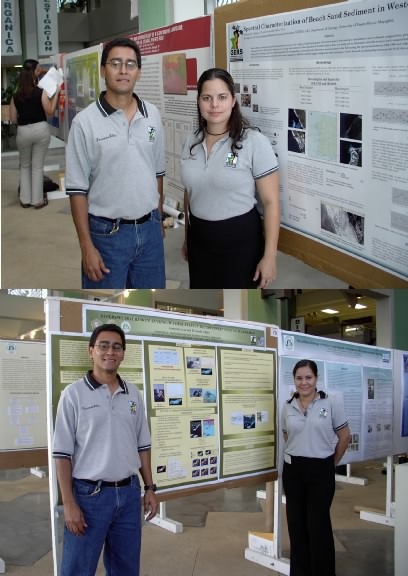 During February 23 to 25 of 2006 Fernando Gilbes and Patrick Reyes presented their work at the NOAA CREST Symposium in UPRM. Fernando Gilbes talked about the "Estimation of Suspended Sediments Using AVIRIS", a research project developed by Eidalia Gonzalez, and undergraduate students of Geology. Patrick Reyes talked about his dissertation work of CDOM. The US Environmental Protection Agency and the UPRM hosted in October of 2005 the Colloquium on Water Quality Monitoring and Testing in Latin America and the Caribbean. The participants agreed with the creation of the Center of Excellent for Water Quality to be located at UPRM. It will provide the mechanisms to develop collaborations and technology transfer among countries. The first follow up meeting of this colloquium was held at UPRM during February 13 and 14 of 2006 with EPA managers. In such meeting it was determined the strong collaboration that the GERS Lab must provide for the coordination and support of remote sensing and GIS workshops and the necessary technical advise. 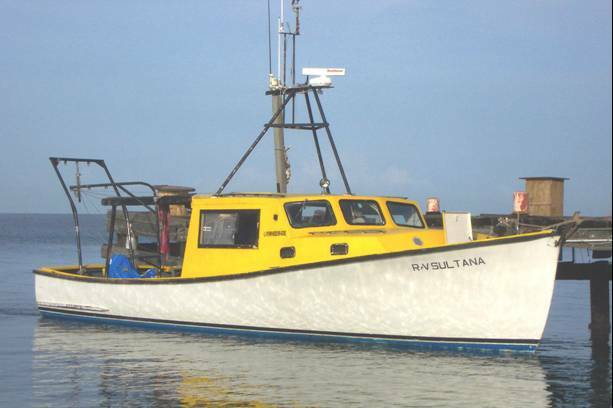 On board of the R/V Sultana, Fernando Gilbes and Maria Cardona (graduate student of Marine Sciences) visited several coral reefs located closed to Ponce, Guayanilla, and La Parguera. The visits took place on January 13 and February 8 of 2006 and were part of CenSSIS research project and Maria's master thesis. At every reefs several parameters were measured using the GERS Lab bio-optical package. Maria have already determined theirs species diversity. On December 6, 2005 and after more than 30 years of dedicated work Dennis Corales carried out his last official trip as Captain. It has been a great honor to work with him during the past 15 years and we will miss him. The contribution of Captain Corales to the marine sciences, especially in Mayaguez Bay, has been enormous. Thank you for all your help! A new undulating underwater vehicle called "Dolphin" has been developed by NASA-SSC and Wet Labs to provided unique oceanographic and bio-optical data of the water column. Dolphin was used during the recent Oripex-7 cruise to the Orinoco River Plume. This multidisciplinary effort was carried out onboard the R/V Pelican during November 12-30, 2005. A group of scientists, including Fernando Gilbes from GERS Lab, was part of this historical campaign. 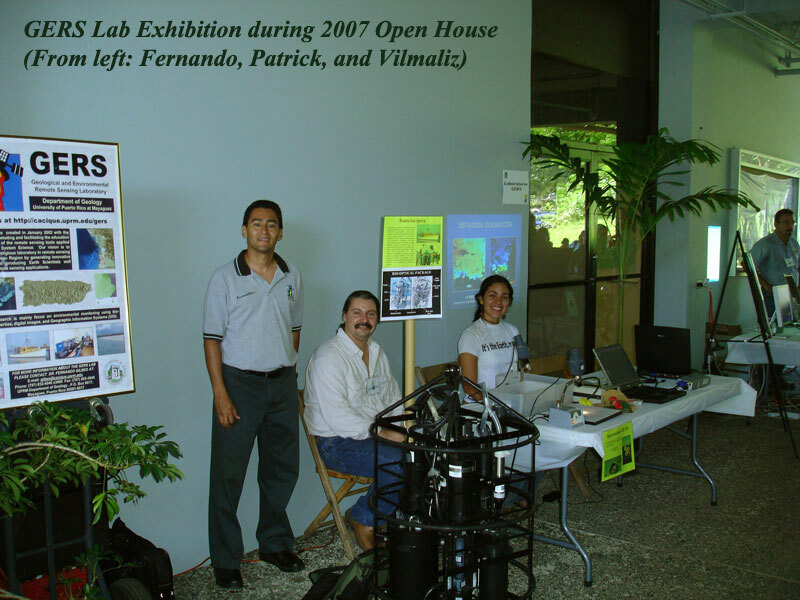 During October 11 of 2004 our laboratory participated in the Open House celebrated in the Department of Geology as part of the Earth Week. As in previous years, this activity was organized by the Puerto Rico Seismic Network and it was attended by many high school students and people from our own campus. Lecture is given at the AIDIS Seminar in San Juan, P.R. On September 30 of 2005, Fernando Gilbes gave the lecture "Puerto Rico Desde El Espacio:Deteccion Remota en el Campo Ambiental" at the Seminar "Tecnologia Ambiental de Vanguardia" organized by the Asociacion Interamericana de Ingenieria Sanitaria y Ciencias del Ambiente-Capitulo de Puerto Rico (AIDIS-Puerto Rico). The seminar took place in the Holiday Inn Hotel of Isla Verde and was attended by over 200 people. The results of the project titled Contaminant and Erosion Control Baseline Database for the Puerto Mosquito Watershed in Vieques, Puerto Rico, was presented by Fernando Gilbes during the first Seagrant symposium. 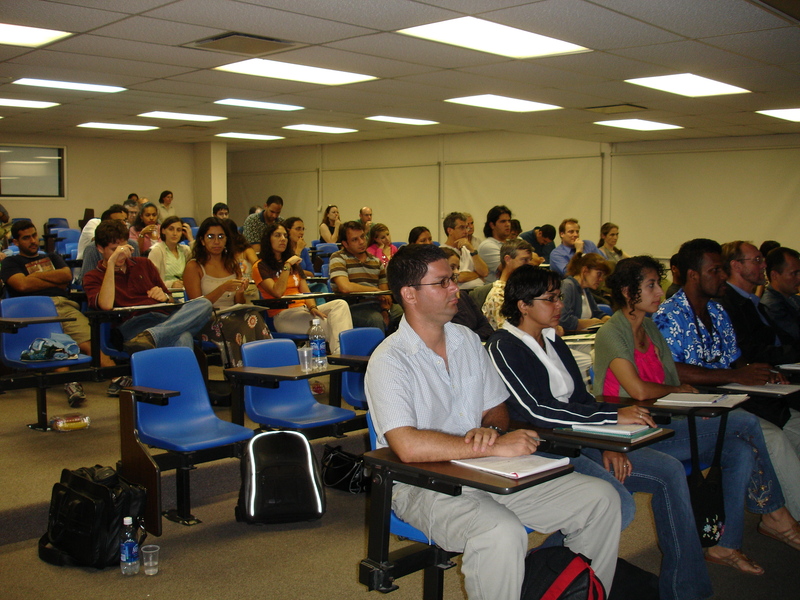 This was held in the Nursing Amphitheater at UPRM during September 2, 2005. TCESS and CenSSIS projects are presented at the 17th Caribbean Geological Conference in San Juan, P.R. Fernando Gilbes attended this conference during July 19-21, 2005. He gave an oral presentation based of Gretchen Chiques' thesis work which is supported by NASA-TCESS. In the same conference Jeannette Arce's thesis work, supported by NSF-CenSSIS, was presented in a poster. After three years of studies in the Geology Department Gretchen Chiques and Jeannette Arce defended their thesis during July 14 and 15 of 2005, respectively. The title of Gretchen's work was "Spectral Characterization of Sandy Beaches in Western Puerto Rico. 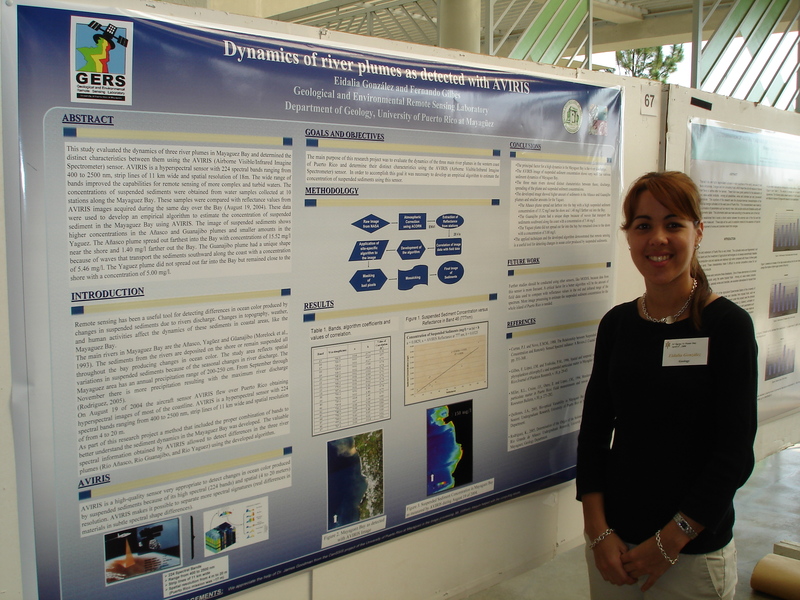 Jeannette's work was titled "Remote Sensing of Benthic Habitats in Southwestern Puerto Rico". During June 21 of 2005 Fernando Gilbes was invited to give the seminar entitled "Tecnologia en la Oceanografia" to the students participating in this year summer camp of Transportation. The opportunity exposed the students to the most recent technology available to study the ocean. During June 14, 2005 the Center for Hemispherical Cooperation (CoHemis) carried out the third national meeting of remote sensing and geographic information systems. As in previous years, the GERS Lab collaborated with this activity and organized a workshop about image classification using ENVI. It was offered by Fernando Gilbes and around 20 people participated and learned the basics. 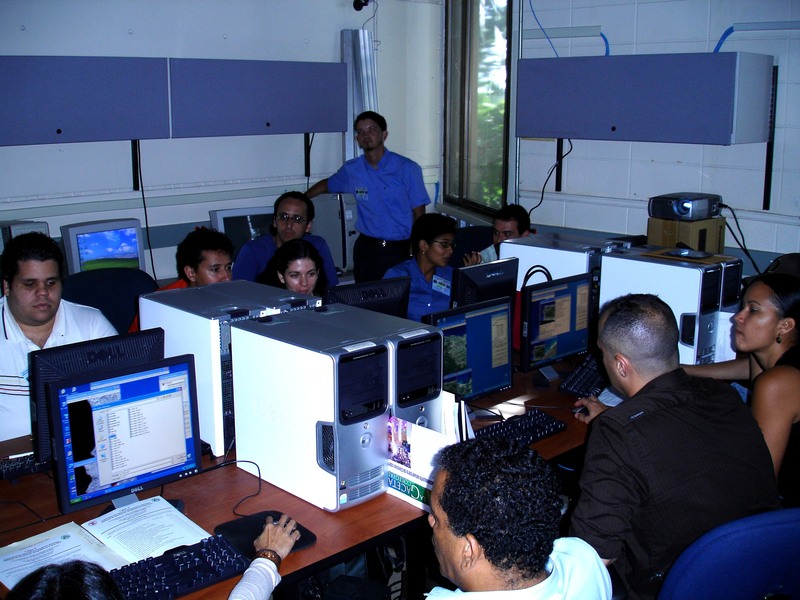 The University of Puerto Rico at Rio Piedras carried out during May 28, 2005, the first GIS symposium called "Uso de Sistemas de Informacion Geograficos en Ecologia Aplicada y Conservacion". As part of the agenda Fernando Gilbes was invited to talk about "CoHemis como facilitador del desarrollo de Sistemas de Informacion Geografica." 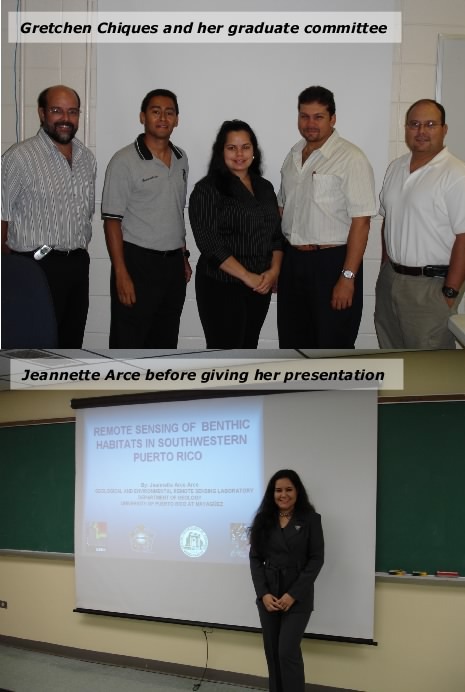 Jeannette Arce and Gretchen Chiques submitted papers related with their master thesis to the 8th International Conference of Remote Sensing for Marine and Coastal Environments that was held in Halifax, Nova Scotia, during May 17-19 of 2005. Both works were accepted and published in the proceedings of the conference. Jeannette Arce also presented a poster during the conference. As part of the research project sponsored by the Office of Naval Research a group of investigators, including Fernando Gilbes from GERS Lab, went to Caribbean waters between Puerto Rico and Jamaica during March 12 to 25 of 2005. A large numbers of parameters were measured with state-of-the-art equipment, which will allow to better understand the dynamics of eddies in the ocean. 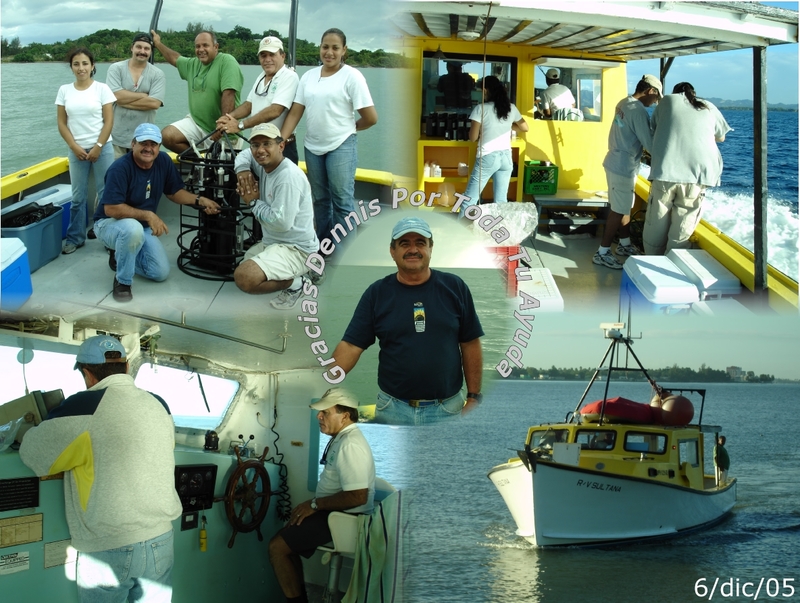 The first sampling of a new project in Mayaguez Bay was performed onboard the R/V Pez Mar during March 10 of 2005. This work is part of the research by the doctoral student of Marine Sciences Patrick Reyes and the master student of Biology Yvette Ludeña. They are studying the dynamics of CDOM and cyanobacteria, respectively. This research is also funded by NOAA-CREST. 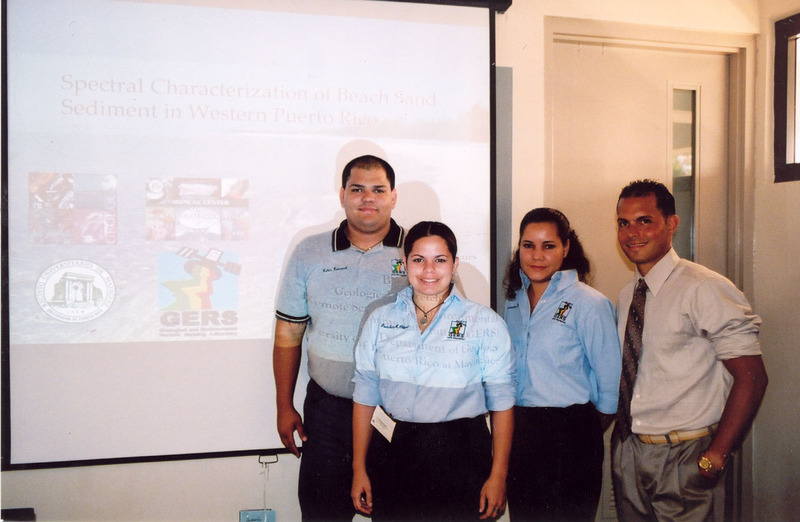 On February 19 of 2005 a workshop for professional improvement of educators was carried out at UPRM and sponsored by Division de Extension, Eta Gamma Delta, and Asociacion Civico Cultural de Mujeres de Mayaguez. It was focused on marine aspects and the talks were given by Monica Alfaro, Jorge Capella, Ruperto Chaparro, and Fernando Gilbes. This last offered the talk entitled "El Oceano Desde El Espacio". Several researchers, including Fernando Gilbes, that participated in the first AVIRIS mission met in RSMAS, Miami, during January 21-24 of 2005. In that meeting the radiometric calibrated images collected over Puerto Rico were provided to our group. Further processing and analyses were also discussed. 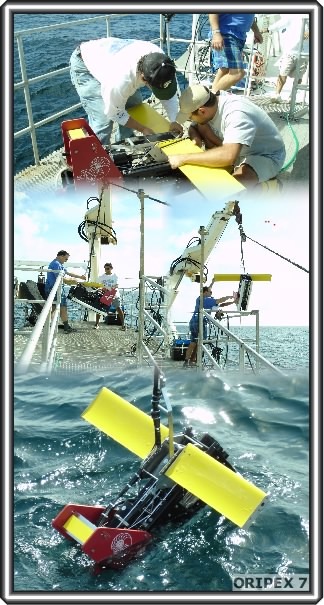 As part of our CenSSIS project we joined efforts with scientists from Woods Hole Oceanographic Institution during November 11-18 of 2004 to study deep corals along Puerto Rico using the Autonomous Underwater Vehicle called SeaBED. During October 21 to 23 of 2004 Fernando Gilbes and Ruben Raimundi presented at the NOAA Education and Science Forum in CUNY our work about bio-optical properties, remote sensing, and GIS of Mayaguez Bay that is sponsored by NOAA CREST. During October 15, 2004 our laboratory participated in the Open House celebrated in the Department of Geology. This was organized by the Puerto Rico Seismic Network as part of the Earth Week activities at UPRM. The annual Research and Industrial Collaboration Conference sponsored by CenSSIS was held in Northeastern University during October 7 and 8 of 2004. In this conference Jeannette Arce presented a poster related to her thesis work about Remote Sensing of Benthic Habitats. On August 19, 2004, we supported the historical overpass of the AVIRIS sensor over Puerto Rico. 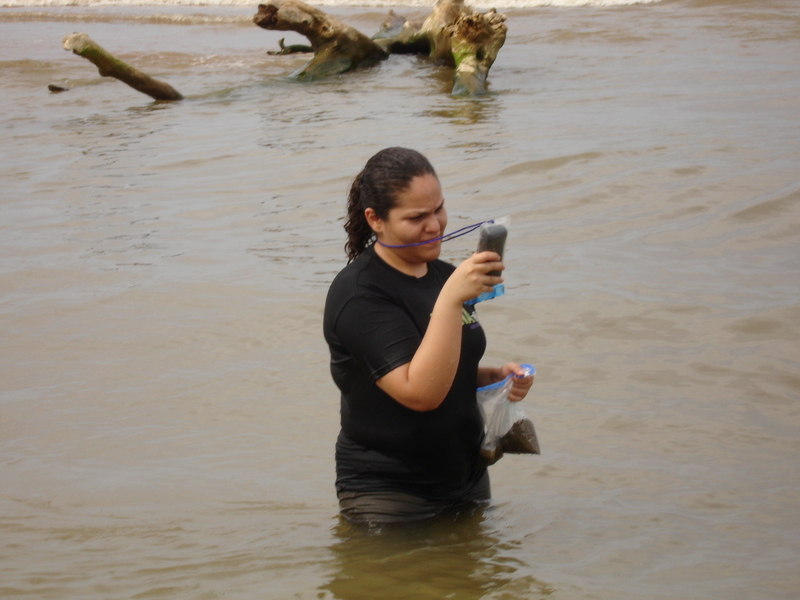 We sampled ten stations along the Mayaguez Bay using our bio-optical equipment. High discharge of the Anasco River is shown in one of the collected images. 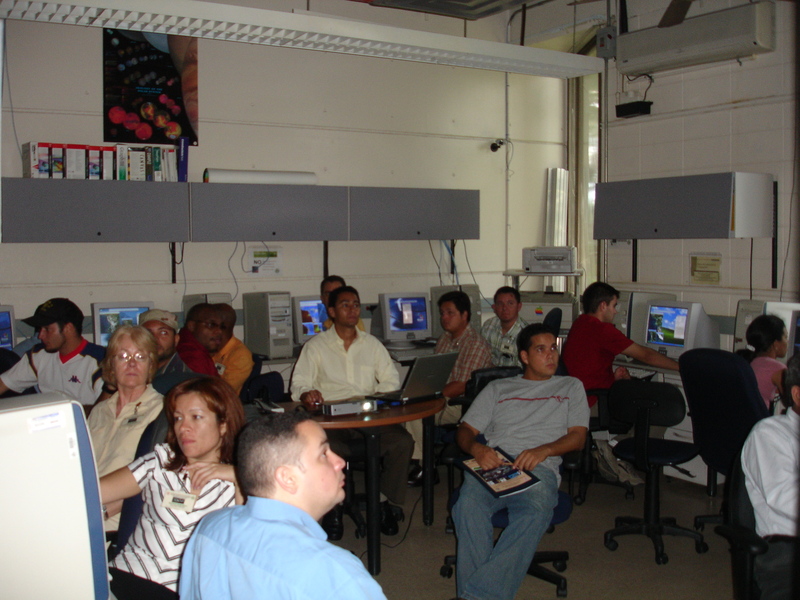 Our teaching laboratory was used during July 27 to August 6, 2004 for this year NOAA-NCAS summer course. Students from different US universities had a real hands-on-training in image processing using ENVI. Fernando Gilbes, Jeannette Arce, and Marcos Rosado were the instructors. On July 12, 2004, Damaris defended her master thesis entitled "A Multi-Sensor Comparison for Coral Reef Habitat Mapping: A Case Study Using a Tropical Patch Reef Environment in Biscayne National Park, Florida". She was working in this research project at the University of South Florida, where she is also working as researcher. Bio-optical properties were measured with our field equipment in the Cavortex-2 oceanographic cruise during June 21-27, 2004. This work is part of the multidisciplinary project sponsored by the Office of Naval Research. During this cruise an Underwater Undulating Vehicle (see photo) was deployed for bio-optical properties of the water column along the track. 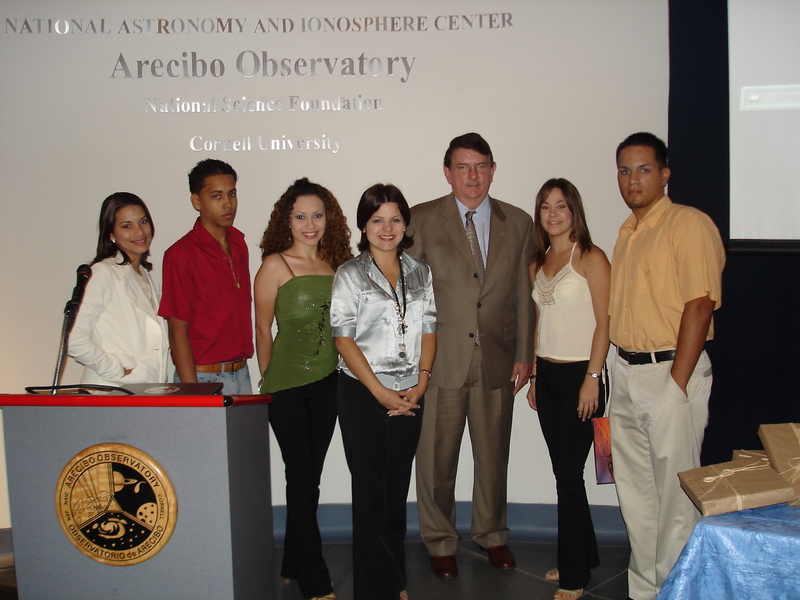 In April 17 of 2004 a group of high school students from the Saturday School of the Turabo University visited the UPRM and Fernando Gilbes offered them the conference titled "Puerto Rico Desde El Espacio". It was a summary on how we can use remote sensing to study our island. Gretchen Chiques and Jeannette Arce presented their research in April 1 of 2004 during this year Sigma-Xi poster presentations. Other students from the Department of Geology also presented their projects. This was an excellent opportunity to expose their work to the UPRM community. During March 29 to April 3 of 2004 the largest mall of Puerto Rico, Plaza Las Americas, had the activity "Acercate a la Universidad" as part of the centennial celebration of the University of Puerto Rico. 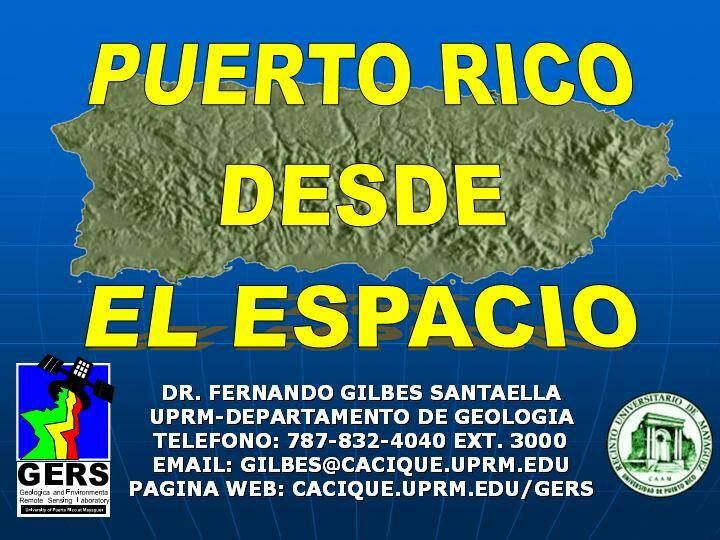 At that activity the GERS Lab presented a collection of images of our island and Fernando Gilbes gave the lecture titled "Puerto Rico from Space" on March 30. This was a great exposition of our lab to the public. As part of our collaborations with scientists of the Department of Marine Sciences at UPRM we loaned part of our equipment for optical measurements. 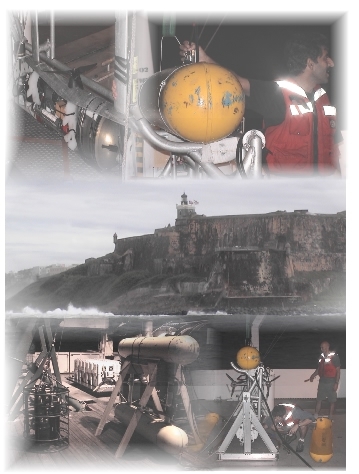 In March 27 of 2004 the NOAA ship Ron Brown returned to Puerto Rico after a successful cruise of 27 days along the Atlantic Ocean where collected a lot of data, including some with our HydroScat-6. Gretchen Chiques and Jeannette Arce presented their research projects during the last Junior Technical Meeting. The meeting was in the University of Puerto Rico at Humacao during March 13, 2004. This experience helped them to organize their ideas and practice talking to an audience. Fernando Gilbes attended the ASLO/TOS Ocean Research Conference during February 16 to 20 of 2004 in Honolulu, Hawaii. He presented the CenSSIS project about remote sensing of benthic habitats, part of the Jeanette Arce thesis work. During February 12 of 2004 we performed a sampling in nine stations of Mayaguez Bay as part of our field support to the ATLAS Mission. This project is sponsored by several federal agencies including NASA, NOAA, NSF and the NWS. In addition, it received the support of several UPRM research groups, including the GERS Lab. The primary target of the project was to bring to Puerto Rico the airborne sensor known as the Advanced Thermal and Land Aplications Sensor (ATLAS) and provide field support for calibration and validation of the sensor images. In January 2004 several researchers from the City University of New York (CUNY) came to Puerto Rico to participate in our seasonal sampling of Mayaguez Bay. In addition to the traditional GERS measurements, CUNY people made several measurements with their own instruments. This is part of our collaborative efforts in the NOAA CREST project.